Motorola did a bang-up job with the Droid RAZR M. It hits the mark on nearly every feature. It's small, light, and easy to use; offers an excellent display; excels at communications features; and even has a good camera. The Android 4.0 software and Motorola customizations run smoothly thanks to the zippy processor. Battery life exceeded my expectations (especially for an LTE 4G device). The RAZR M doesn't skimp on anything, except for perhaps the super huge footprint that plagues some of today's flagship devices. The RAZR M is the most balanced and usable smartphone I've come across in a long time. The Motorola Droid RAZR M is all killer and no filler. 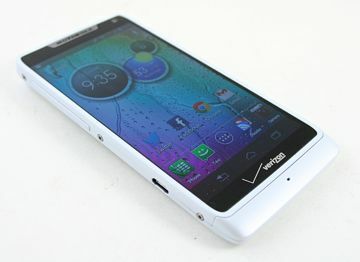 Motorola today announced the RAZR i, a version of the Droid RAZR M that swaps its Qualcomm processor for one made by Intel. The RAZR i is the first smartphone from Motorola to use a 2.0 GHz Intel Atom processor. U.S. Cellular today announced that it will launch the Motorola Electrify M on November 8. Motorola and Verizon Wireless today revealed the Droid RAZR M, a new Android smartphone that offers high-end specs in a small device form factor. The RAZR M has a smaller footprint for those who don't want a large device, but it still includes a qHD 4.3-inch display thank to edge-to-edge screen technology used by Motorola.